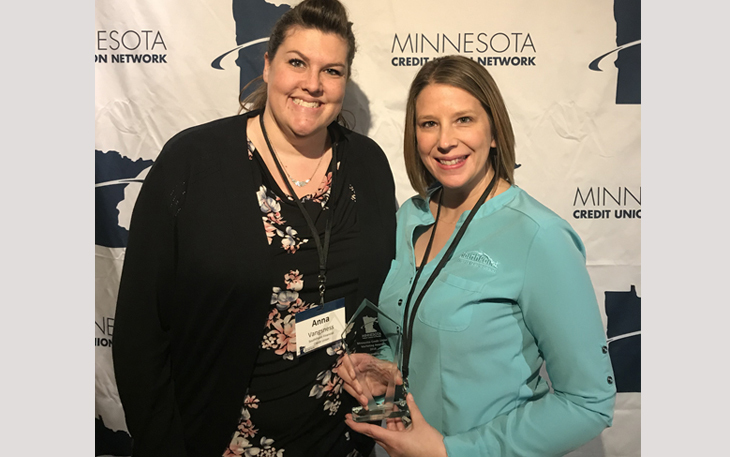 (Sleepy Eye, MN – Dec. 6, 2018) – SouthPoint Financial Credit Union’s Marketing Department is a recipient of a Minnesota Credit Union Network Marketing Award. Winners were honored at a luncheon Dec. 3 in Minneapolis. The award program recognizes outstanding efforts in the areas of branding, community impact and outreach, digital advertising, video and complete campaigns. SouthPoint Financial Credit Union was a recipient for Branding in the $250 million to $500 million asset category for branding at SouthPoint Home Mortgage. SouthPoint Home Mortgage, a division of SouthPoint Financial Credit Union, was created on the premise of offering both new and existing members a home loan experience that makes their experience priority number one. 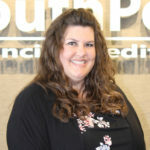 SouthPoint Financial Credit Union is a not-for-profit financial cooperative that distributes profits among members in the form of lower loan rates, fewer and lower fees and higher savings rates. Membership is open to all residents and businesses in a 19-county area of southern Minnesota. For additional information visit southpointfinancial.com or call 877-794-6712.